For those looking for an escape from the snow, but don’t want the heat, this is the Long Stay for you.Daily highs of 14-16C, it’s comfortable living in an area accessible to so much. By the sea and at the gates of the Middle Country, Saint-Laurent-du-Var is a resort that radiates the heart of the French Riviera. 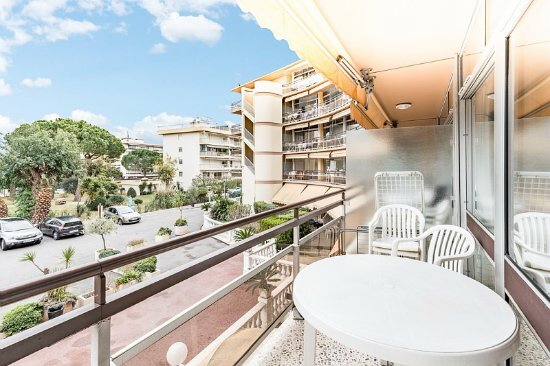 It is ideally located between Cannes and Monaco, near Nice and just over an hour alpine resort of Isola 2000. The perfect place to contemplate the big blue and take a breath of fresh air.A city of festive tradition, with thirty free events throughout the year. St-Laurent-du-Var is a floral and festive city at the crossroads of the Maritime Alps and Italy. This 4* Marine Residence The 4* Heliotel Marine Residence is similar to a good North American 3* residence) and ideally located opposite the marina and 100 meters from the beach.A swimming pool (opened in the summer only), tennis courts and a playground.Wi-Fi is available in units ($) and is a favourite of our customers. 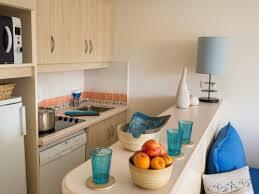 The spacious and bright 1-bedroom apartments have a Mediterrean theme, air conditioning and offer maximum comfort. They offer a 1 bedroom with a double bed, a living room, kitchen open to the living room, bathroom and WC, all oriented on the North side. Other room categories available.Units are equipped with vacuum, coffee maker, bedding, equipped kitchen, ceramic cooking hob, dishwasher, microwave, refrigerator, telephone with direct line ($), TV, linens, cleaning kit and cleaning at the end of the stay. This is a residence, not a hotel, so very similar to renting a long term apartment.There is no On Location Rep here, but excursions can be booked in advance. This package includes roundtrip airfare and transfers, 28 nights in a deluxe 1 bedroom apartment, with departure date of February 11, 2019. 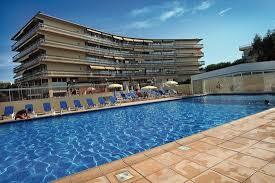 Starting from $2159 + 720 taxes per person, based on double occupancy. 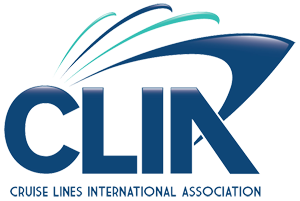 Interested in LONG STAY FRANCE (FRENCH RIVIERA)?